Four years ago today Brian Burke took over the Toronto Maple Leafs. His reign has coincided with one of the worst four-year stretches in team history. On average, GMs last between five and six years with one team. If the Leafs once again fail to make the playoffs in Burke's fifth season as GM, ownership will have to seriously consider changing leadership. After next season, Leafs ownership has two options: 1) fire Burke immediately, or 2) commit to Burke long-term. 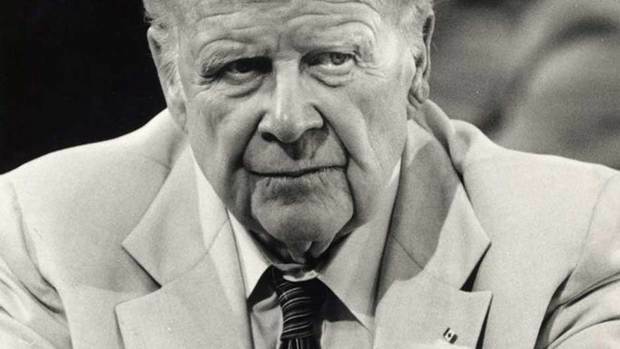 Giving Burke any more than one year to guide the Leafs, but less than a long-term mandate, will be catastrophic. The NHLPA made a big step towards the owners on Wednesday, only to be summarily rejected in about the time it takes to get your pizza delivered. Now the NHLPA is fuming and for the first time this lockout the whispers of decertification are turning into shouts. But what exactly is decertification and how can it help end the lockout? Below is an easy to read guide to everything you need to know about decertification. Big thanks to sports lawyer Gabe Feldman for much of the information used in this article. For Feldman's full and much more detailed legal description of decertification, you can read his FAQ at the Huffington Post and Grantland. 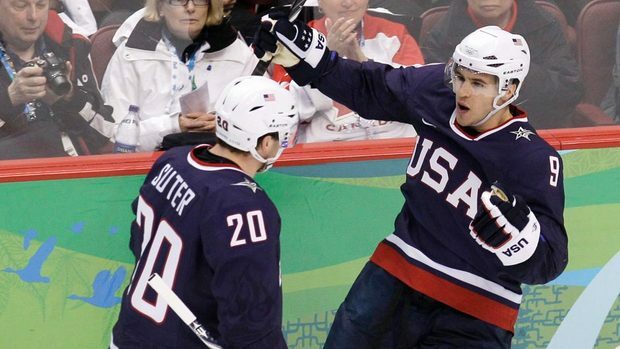 The first real ripple of dissent has ripped through the NHLPA. 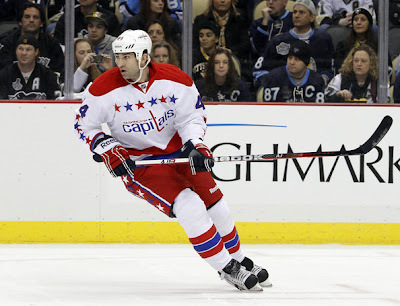 In an interview with the Czech newspaper Daily Sport, Washington defenceman Roman Hamrlik blasted NHLPA head Donald Fehr. "I am disgusted," Hamrlik told Daily Sport (translated by TV Nova's Roman Jedlicka). "We have to push Fehr to the wall to get the deal. Time is against us. We lost (one-quarter) of the season, it is $425 million. Who will give it back to us, Mr. Fehr?" 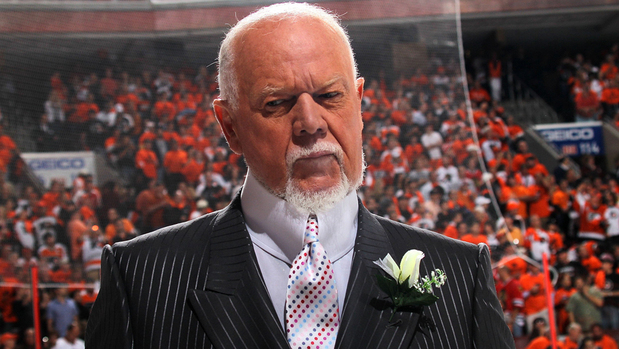 Don Cherry is killing it on Twitter. Most of his tweets are the usual Coach's Corner-type rants, but he has also started telling some more mundane stories that are actually pretty (unintentionally) hilarious. In a recent interview with James Mirtle of the Globe and Mail, Don Cherry opened up about many things, his newfound love of Twitter among them. "Well, nobody knows why I’m on Twitter. But what happened was, about five guys had my name out there, using my name as Twitter. So, CBC, they said we’ve got to protect ourselves. So we want you in the playoffs to start a Twitter. And I was ‘Come on, are you kidding?’ I thought Twitter was for birds to tell you the truth." But Don doesn't tweet himself, something Marlies coach Dallas Eakins made light of after Don criticized how Eakins and the Leafs handled Nazem Kadri arriving at training camp out-of-shape. 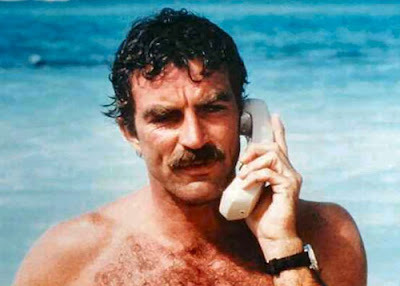 "So what I do is I phone in if I see something that bothers me. She (Kathy Broderick) takes care of it. She does the typing and all of that because I couldn’t do all that. I'm having some fun on Storify compiling the tweets and adding a little extra. "Meet me in Toronto," Roberto Luongo whispered to Ryan Getzlaf. The lockout is undeniably terrible. But when play resumes (hopefully before 2022) Leafs fans might discover it was the best thing to happen to the team. Matt Frattin is too good for the AHL. 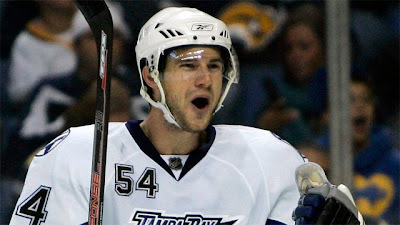 He has 24 goals in 36 career AHL games, which includes 10 he scored in 13 playoff games. With a disappointing 6-4-0-1 start and a scant 33 goals forward, the Toronto Marlies will be happy to add the winger to their lineup when he returns from injury, which could be as early as Friday. 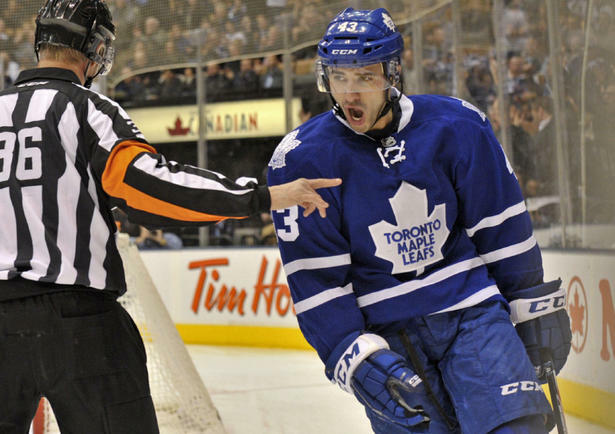 Frattin was one of the brighter lights on a strong Marlies team last season, which gave Leafs Nation hope that he would soon help the Maple Leafs. 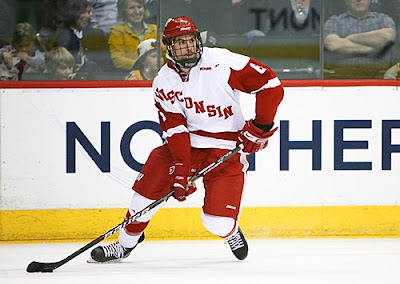 While Frattin has shown an ability to score at the AHL level, he was used primarily in a bottom six role with the big club, minus a few games played alongside Mikhail Grabovski after Randy Carlyle took over. Physically, Frattin has the making on a banging, crashing style forward that would be extremely valuable on the third line. And statistically, he should be able to excel in that role immediately. He scored 8 goals in 56 games, which prorates to about 11 over a full season. That's the amount a good third line winger scores. 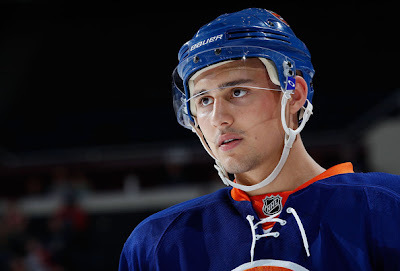 But after his goal-scoring barrage in the AHL, perhaps his NHL ceiling is higher than that of a third line player. Barring a shocking lockout resolution after today's "secret" bargaining session, the closest thing to NHL hockey is taking place in AHL rinks across the continent. And although AHL hockey is great, it can't replace NHL hockey. 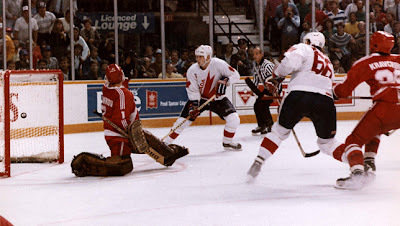 Sure, I want to see the Marlies do well, but I don't hang on every shot like I do with the Maple Leafs. 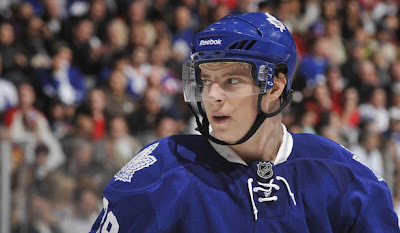 In fact, I'm largely watching the AHL to see if the players can eventually help the Leafs. Many Leafs fans clung to the fact that the Marlies made last year's Calder Cup Final as evidence that the future was bright for the parent club. A slow start to the season doesn't have everyone putting the same stock into results, which made me wonder how predictive AHL success is of NHL success. 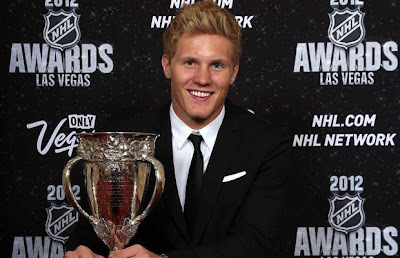 Today's post at The Good Point looks at how well AHL success translates into NHL success. Do NHL teams that have good farm teams eventually become better teams themselves? 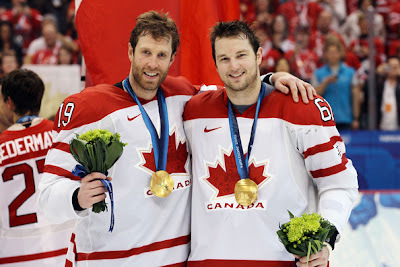 Is the relationship between the two stronger after a lockout? But...I also have some additional content on the matter. If a strong AHL team means a strong NHL team, which teams will follow the path set by their AHL counterparts and blaze a trail into the playoff? More specifically, which NHL teams that were bad in 2011-12 (ala Toronto) will reverse the trend and play hockey in the spring? The moustache has endured in hockey, much like the mullet, even during times when it has fallen out of favour with the general population. 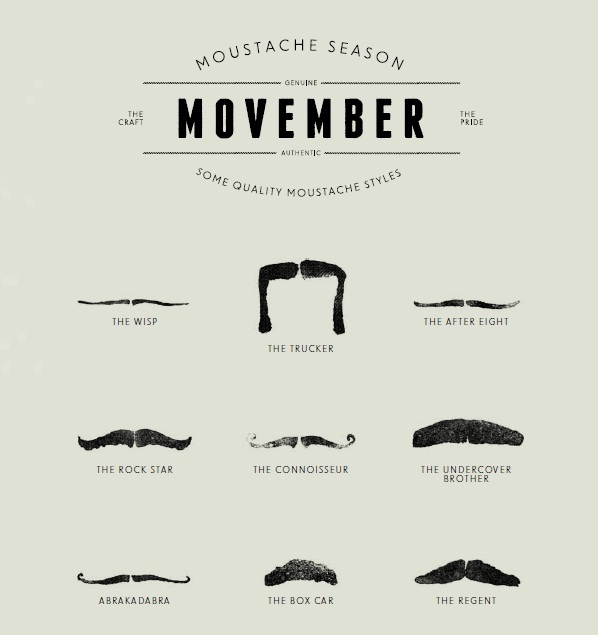 If you are growing a moustache for Movember and are having a hard time determining how to style your soup strainer, why not look to the pros. The internet has plenty of style guides already available (like here, here, here, and here), but they won't tell you what is NHL-chic. Brian Burke's five-year rebuild that wasn't supposed to take five years is taking longer than expected. 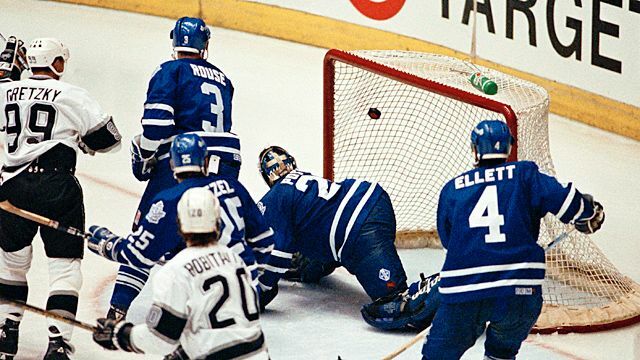 The last time the Toronto Maple Leafs rebuilt, it was quick and almost painless. The team missed the playoffs only twice—in 1997 and 1998—but would become a post-season mainstay for the next six years. But that mid-90s rebuild did not happen in one fell swoop—the three biggest trades actually occurred over a five-year period—and could be better characterized as a slow core replacement, rather than a fire-sale. 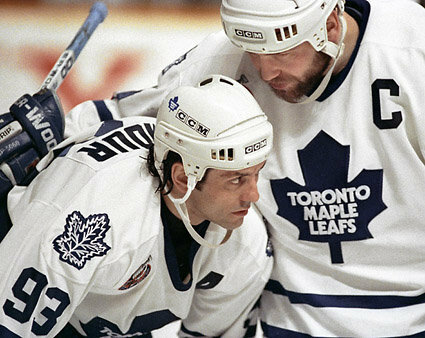 After bowing out of back-to-back conference finals, the Leafs began a process of turning their three most important players—Doug Gilmour, Wendel Clark, and Felix Potvin—into what should have been a strong group to build around in the future. 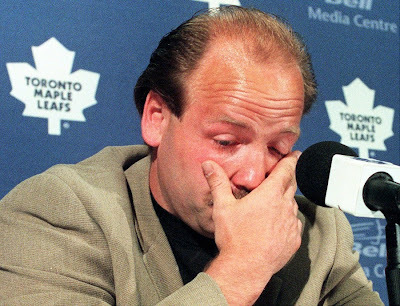 In Wendel Clark's case the return was overwhelming, but the players that came back in other trades were bungled away. The Leafs still became a perennial contender in the late-90s and early-2000s, largely thanks to successful plunges into free agency, but poor asset management and pure, dumb luck ruined the rest of what should have been an overwhelmingly successful rebuild. 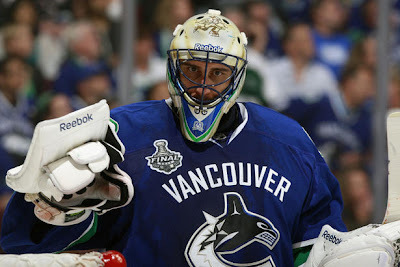 A lockout hasn't stopped the endless Roberto Luongo rumours. Last week, Sportsnet's John Shannon reported that there is an agreement between Toronto and Vancouver that would send the 33-year-old netminder to the Leafs once the lockout ends. Apparently Brian Burke and Mike Gillis (who both denied Shannon's report) have been in communication for a long time, ever since the Canucks reportedly asked for Tyler Bozak, Jake Gardiner, Matt Frattin, and a first-round pick at June's entry draft. That asking price was obviously a non-starter for the Leafs, but a deal surrounding Bozak is supposedly very much alive. However, with the owners' latest CBA proposal, which would stick teams who sign a player for more than five years with that player's cap hit upon retirement, there is speculation in some corners that the price just went up. After hockey fans became briefly optimistic over the owners' surprise proposal, the air was let totally out of the balloon once it was made clear that it wasn't an invitation for negotiation, it was an ultimatum. We know it wasn't an offer to negotiate because the NHLPA gave three different counter-offers, all of which were flat out rejected. It was basically a Choose Your Own Adventure proposal. Here's some background information if you are too old and never had the opportunity to read a Choose Your Own Adventure book. Or if you are too young, which would mean they have stopped making them. That would be a true injustice. 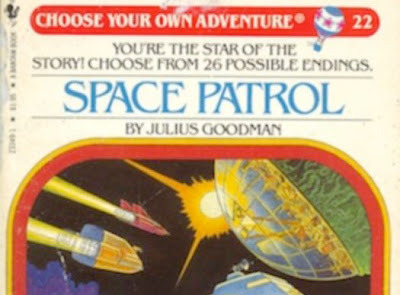 Choose Your Own Adventure books were great. You read a story until the main character had a crucial decision to make. At that point you became the protagonist and you got to choose what adventure to lead. You skipped to a certain page based on the path you chose. Sometimes your decision would lead to a happy ending, while other times it would result in you being eaten by a pride of lions. It wasn't for the faint of heart. Luckily, if you kept your finger on the "decision page" you could easily go back and justify to yourself that you meant to pick "don't open the creepy cellar door". Other times you died either way. It was fun! It's not well known, but there is actually a Choose Your Own Adventure: CBA Negotiations book. 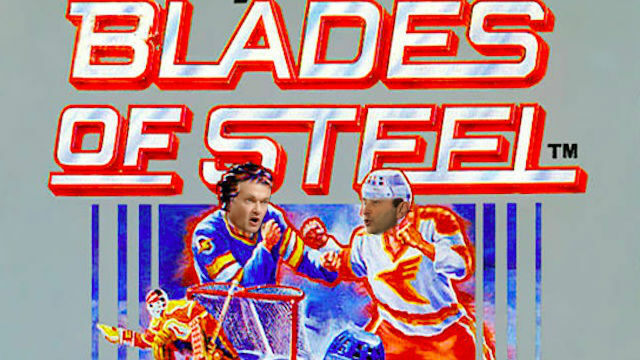 It's your chance to get into the thick of the negotiations and help save the NHL season. Watch out for traps! Amazingly, this picture was not Photoshopped. Labour negotiations between the league and the players' association are still in their infancy, despite the lockout deadline looming ever larger. The two sides are set to meet again today after the league tabled a new proposal that is much softer than their initial ludicrous demand. It still likely isn't going to go over well with the player's association, but it's a start. The league's offer would cut the salary cap to $58 million next season, down more than $12 million from the current figure. As it stands now, there are 16 teams already over that limit, yet the league's offer did not include any sort of salary rollback. How are teams supposed to become cap compliant? Well, a contract amnesty would be a good start. A few weeks ago I wrote an article for The Good Point on the benefits of a one-time contract amnesty. With the league's proposal there would have to be a five-time contract amnesty for some teams (looking at you, Calgary). Did you draft Nino Niederreiter as a sleeper in your fantasy pool last year only to be rewarded with a disastrous one point, minus-29 rating in 55 games? What if instead of being a total bust, that was an MVP-calibre season. No, I don't mean what if Uncle Nino scored 100 points, I mean what if that terrible season was exactly what you envisioned. It isn't a stretch to say that Gary Bettman isn't well-liked among fans. 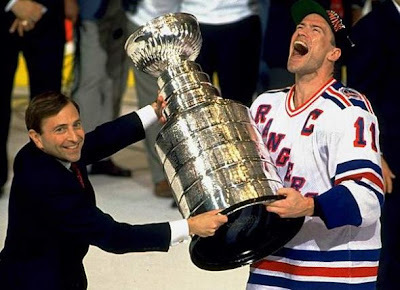 Case in point: Every year fans boo Bettman mercilessly as he hands the Stanley Cup to the winning captain. 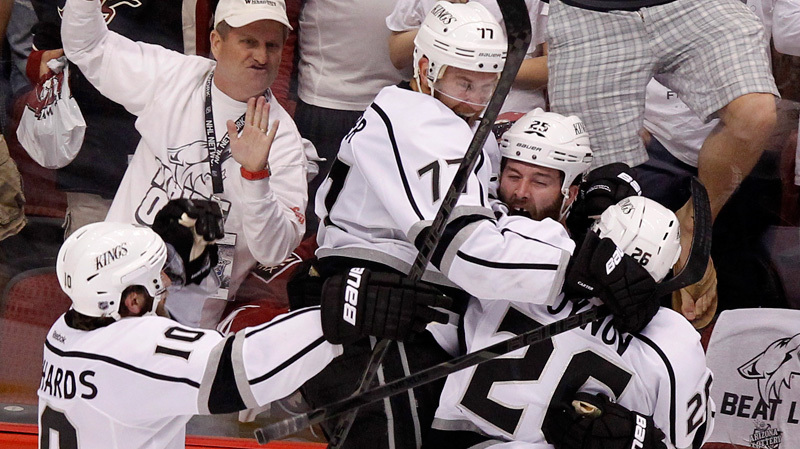 It doesn't matter if the home team won either, fans just love booing Bettman. They can temporarily put aside their euphoria over winning the cup. Bettman also hasn't found many friends in the media. 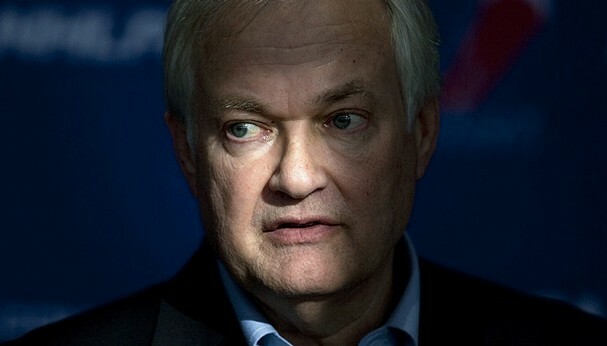 It isn't as obvious as a cascade of jeers in front of a national TV audience, but by examining the pictures reporters use for their stories, it's clear they aren't fond of the NHL commissioner. 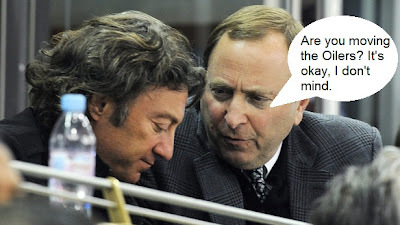 Almost none of the pictures used make Bettman look serious. In fact, many of the photographs are so utterly comical that you'd think the piece was satirical. Wrong. Most of the following photos come from actual news stories. "I'm done. 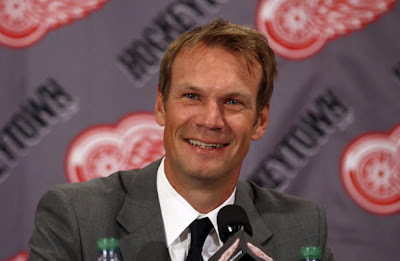 Good luck with Niklas Kronwall as your No. 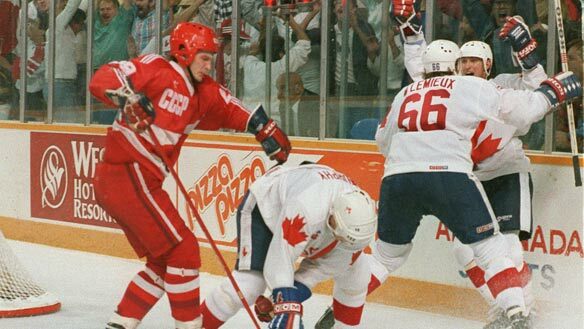 1 defenceman." It's a sad state of affairs when every article has to be prefaced with "if there is a season." 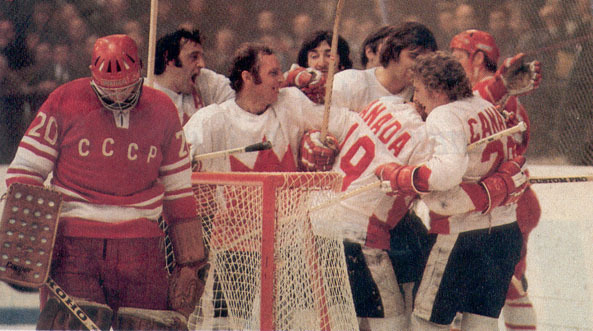 It makes reading and writing about hockey almost a futile venture, unless of course you're actually reading and writing about labour negotiations (and I'm with most fans in the 'wake-me-when-it's-over' boat). But in the face of an impending lockout, I'm taking the stance that there will be a season, facts be damned. The league is making too much money to throw it all away with another lost season. I'm sure the Sept. 15 deadline will pass and the players will get locked out, but this won't be a repeat of 2004, when the season was eventually cancelled. So if there will be a season (and there better be), I might as well act like it's going to happen. Here's an article I wrote for The Good Point looking at a group of teams that are poised to drop in the standings this season (you know, if there is one). Not so long ago, Tomas Kaberle was the only bright light during increasingly dark times in Toronto. With the Leafs attempting to rebuild, Kaberle's name was linked in just about every trade rumour imaginable. 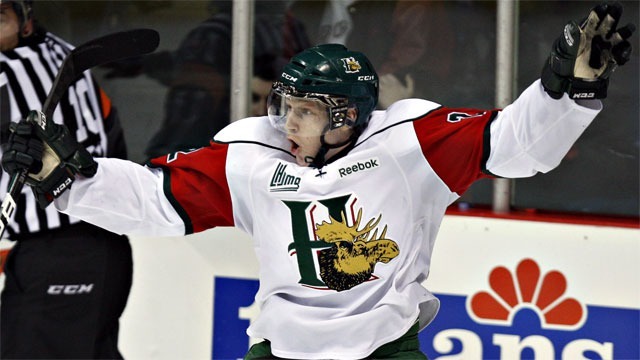 Finally, after what seemed like years of endless rumours, Kaberle was dealt to the Boston Bruins for Joe Colborne, a first-round pick, and a conditional second-round pick, which eventually went to Toronto after Boston won the 2011 Stanley Cup. However, Kaberle has been involved in trade talks long before Brian Burke struggled to bring respectability back to Toronto. Here are five major trades that would have seen Tomas Kaberle packing his bags and the history of the Toronto Maple Leafs change dramatically. It is late July 2012. 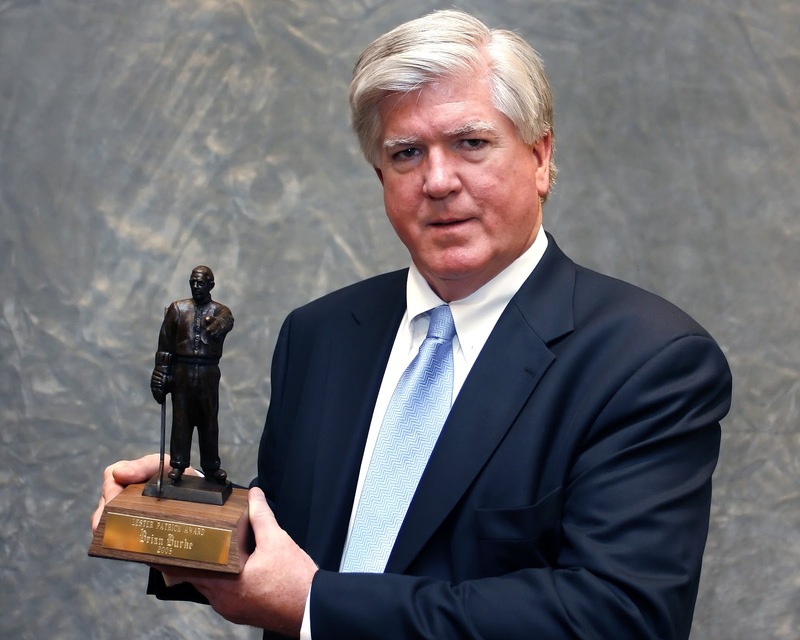 The scene opens in Brian Burke's office at the ACC. The Leafs haven't made the playoffs since 2004 and have finished in the bottom third of the league in each season of Burke's three-and-a-half year reign as GM. He is sitting at his desk, tie untied, empty bottle of whisky in the trash can, as he looks at a sheet of paper titled "Toronto Maple Leafs Roster, 2012-13". It is making him sad. The margins of the page are filled with the names Ryan Getzlaf and Corey Perry, written over and over again in loopy handwriting, and set inside the centre of a heart. Burke also has scraps of paper on his desk with the words, "Will you be my No. 1 centre? Check yes or no. Sincerely, your secret admirer." He will be mailing them soon. Burke takes a break from his current predicament to fondly remember his days in Anaheim. Winning. Truculence. No Mike Komisarek. Suddenly, Cliff Fletcher bursts through the door. FLETCHER: It's your team, Burkie, something has got to be done about your team! Read this! Fletcher hands Burke a newspaper from 2006. On the front page is a picture of Bryan McCabe and JFJ smiling and shaking hands. BURKE: "The Toronto Maple Leafs have signed Bryan McCabe to a 5-year, $28.75 million contract, General Manager John Ferguson Jr. announced last night." Fletch, I already know about Bryan McCabe. Why are you making me read this garbage. FLETCHER: You see, this one event starts a chain reaction that completely destroys the entire franchise. I already went further ahead into time to see what else happens. I backtracked everything to this one event, that's why we have to prevent this incident from ever happening. Burke looks at Fletcher like he has two heads. BURKE: Hold on, how are we supposed to stop something that has already happened? 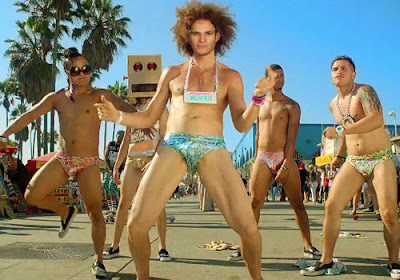 FLETCHER: I did it. I finally did it. People have been wondering what I've been doing on the team payroll all these years, and I finally did it. FLETCHER: I built a time machine, Burkie—out of a Vespa. The time for Nazem Kadri to make the NHL is now. On average it takes a prospect about three years to stick in the NHL. That’s exactly how many years it has been since the Leafs spent the seventh overall pick in the 2009 entry draft on Kadri. 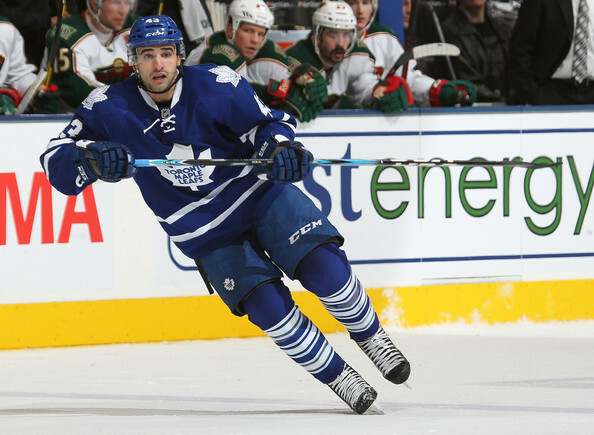 This is a pivotal season for Kadri to prove he’s capable of playing in the NHL. The Leafs need to see it happen now, because the longer it takes for him to prove he’s ready, the more his trade value diminishes. And as a team that hasn’t made the playoffs since 2004, the Leafs can’t afford to waste a top-10 draft pick. If you could sign the best defenceman in the NHL, how much would you be willing to pay? 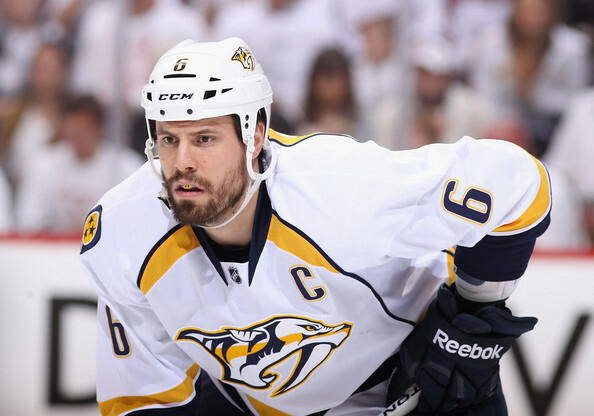 That's the question many GMs are asking themselves as the possibility of Shea Weber becoming an unrestricted free agent is only one year away. The Nashville Predators just lost Ryan Suter to the Minnesota Wild and have to immediately work on signing Weber to a long-term contract. But without his defence partner, which certainly hurts Nashville's chances of contending, is Weber committed to staying with the Predators? Last year Weber signed a one-year deal as a restricted free agent to determine whether the team was committed enough to winning. 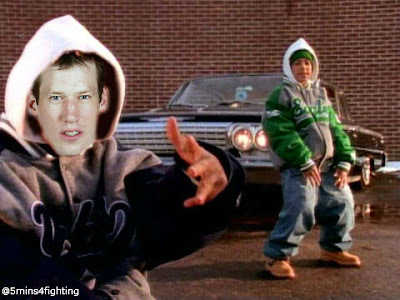 Well, GM David Poile re-signed Pekka Rinne to a massive deal, brought in rentals at the deadline, and made a strong pitch to keep Suter. Accordingly, if Weber signs a one-year deal this year he will essentially be telling the Predators it wasn't enough, he's leaving. With that possibility, rival GMs are asking the same question that Poile is asking: How much is Weber worth? Unlike last year, this year's free agent market hasn't produced a feeding frenzy like everyone expected. Zach Parise and Ryan Suter got paid, but no team has taken the Florida Panthers approach of overpaying every average player available and hoping it's enough for the playoffs (I still can't believe it was for Florida). Sure, the Flames overpaid both Dennis Wideman and the soon-to-regress-terribly Jiri Hudler, but that's just the Flames doing Flamesy things. 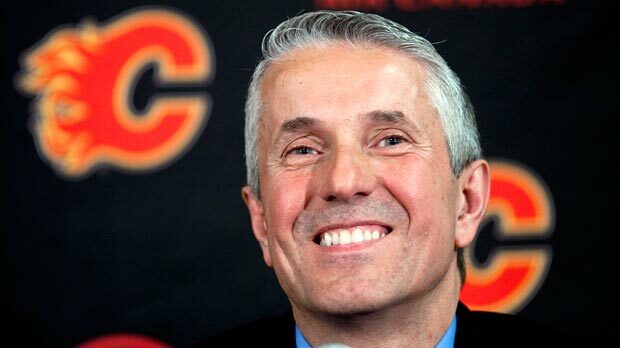 Jay Feaster doesn't think he overpaid either of those players; in his mind the Flames got a steal. It will be interesting to see what the team does when the cap drops from $70 million. I want a camera there when someone tells Feaster he's over the cap by a good $5 million. Yesterday at the Good Point I wrote about whether the big hold up on the UFA-front is due to the CBA that will expire at the end of the summer. I also speculate about whether a certain Tim Connolly, and players of his ilk, can be traded (hint: yes). The Toronto Maple Leafs have spent over $66.5 million on unrestricted free agents since Brian Burke took over in 2008. 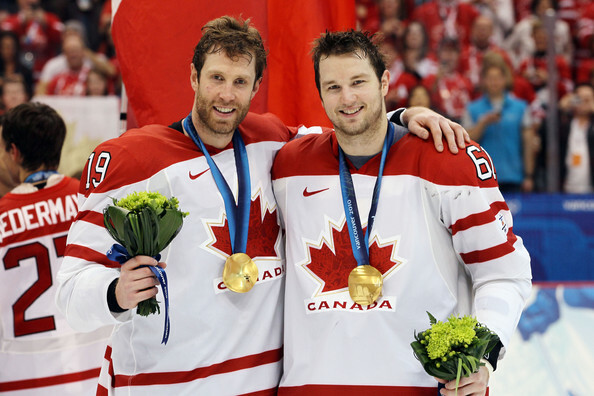 Of that, only $12.5 million, divvied up between Francois Beauchemin and Clarke MacArthur, was spent wisely. The rest of the money has gone to Colby Armstrong, Mike Komisarek, Tim Connolly, Brett Lebda, Colton Orr, and other even less notable names. Burke once promised that “July 1 would be our draft”, but the list of names that have arrived in Toronto has made Leafs fans wish Burke traded his “picks”. 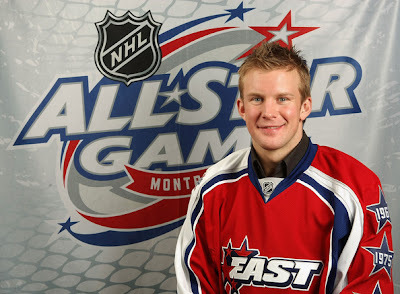 So far this off-season Burke has resisted overpaying any of the underwhelming free agents. Aside from Jay McClement, who inked a reasonable two-year deal worth $1.5 million a season, the Leafs have watched other teams feast on the UFA buffet. 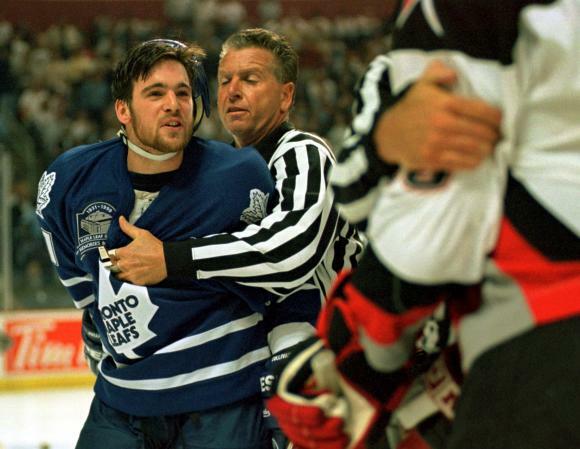 Brandon Prust did not become Colby Armstrong 2.0 and Bryce Salvador did not get the Mike Komisarek treatment. Barring a miraculous signing of Ryan Suter or Zach Parise (which isn’t happening, sorry), the Leafs' best chance is to wait for the market to cool and take a flier on a player later in the summer. Burke did the same with MacArthur in 2009, waiting until late August to sign what would be a 60-point scorer for only $1.1 million. 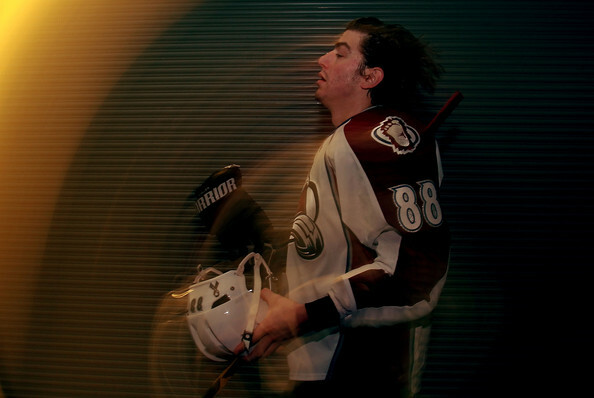 The player the Leafs could take a chance on this year is former eighth overall pick Peter Mueller after the Colorado Avalanche failed to offer Mueller arbitration, thus making him an unrestricted free agent at the age of 24. 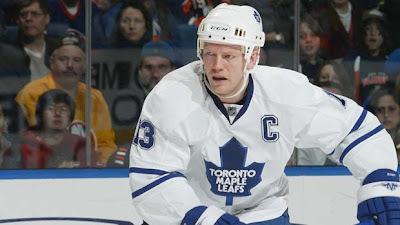 Mats Sundin was never the best player in the NHL. He never won a major award and he never won a Stanley Cup. Despite lacking these typical qualifications, Mats Sundin is a Hall of Famer. "Trade the pick!? That would require an ability to do more than sit around and pray for the lottery." A couple of years ago Scott Cullen of TSN wrote a couple great articles breaking down the value of draft picks. It basically broke down how likely a team was to draft a quality player from certain spots in the draft. Amazingly, even if a team owns one of the first three picks there is only a 60 percent chance that player turns out to be at least a top-6 forward or top-4 defenceman. 60 percent! That's crazy. 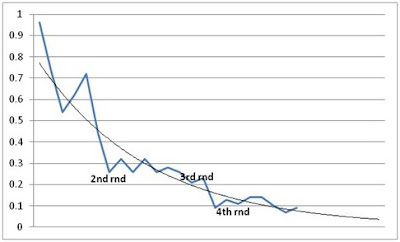 Here's a graph I made showing how likely a player is to develop into a top-6 forward or top-6 defenceman based on when they are drafted in the first round. After round one the chances are less than 10 percent. Likelihood of a first round pick becoming at least a top-6 forward or top-4 defenceman. 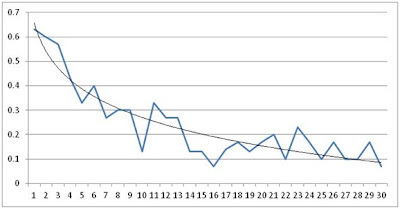 He also looked at the chances of a player suiting up for at least 100 games in his career. After the first round even that minimal accomplishment is a pretty difficult feat to achieve. In conclusion: drafting is hard! 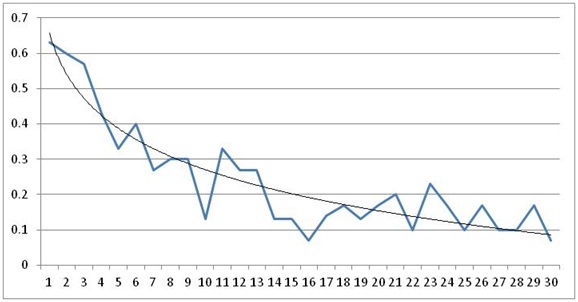 Likelihood of a draft pick playing at least 100 games in the NHL. I've used this data to take a look at when it is best for teams to trade up or down in the draft. You can read more at The Good Point. A stray elbow to the head turned more than James Reimer’s world upside-down last season; it sent Brian Burke’s carefully constructed plan for contending crashing to the ground. Now Burke must search desperately to find a veteran netminder capable of leading the Maple Leafs to the playoffs. Although Ben Scrivens just finished an amazing season in the AHL, winning goaltender of the year, the disaster of 2011-12 means the Leafs cannot start training camp pinning their hopes on two unproven goalies. With public anger rising around Burke, entrusting the keys to the post-season to Reimer and Scrivens won’t happen. 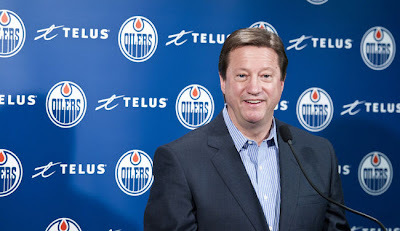 Burke was burned by this same gamble last season and is in no position to roll the dice again. 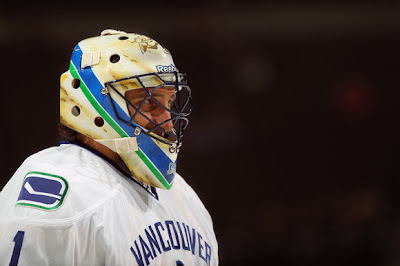 More importantly, failing to find a goalie was the same problem that eventually caused his firing in Vancouver. If he doesn't find a proven goalie to share the net with either Reimer or Scrivens it could ultimately be his downfall in Toronto as well. Welcome to the hockeyless nights of the summer. It is truly a barren wasteland of nothingness. Sure, there's baseball, and that will keep you sane, but without hockey, you might as well just go into summer hibernation. Before shifting gears totally into off-season mode—getting excited for the draft, the blockbuster trades, and the free agent bonanza that is sure to come—we should shed a tear for another season gone, and hand out some awards to the deserving few for a playoffs well done. Building a team capable of winning the Stanley Cup is hard; building a team capable of doing it year after year is even harder. The model franchise in the regard is the Detroit Red Wings, a team that won four Stanley Cups in the past 20 years, not to mention to other appearances in the Final. They’ve built a team about as close to a dynasty as you can get and are the type of organization that others try to emulate. This year’s Stanley Cup Final pits two teams that could head in different directions after Gary Bettman hands over the silver mug. 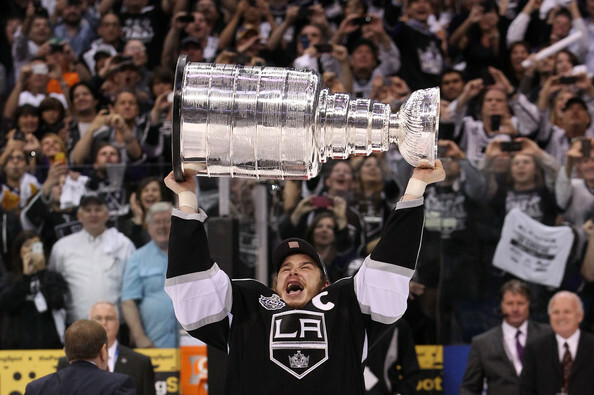 One, the LA Kings, have all the necessary ingredients to stay atop the NHL for the foreseeable future, whereas the other, the New Jersey Devils, may wind up being a one-and-done contender. Check out yesterday’s post at The Good Point to read more. Dustin Penner's playoff beard is overrated. There I said it. The mountain man from Manitoba may have a beard that is the woolly mammoth of beards, almost like an air bag of hair protecting his face from harm, but it's overrated. Just as overrated as Shea Weber's beard last year. Now, this is certainly blasphemy, because anyone with a working set of eyes can see that Penner's beard lords over all other beards, just as Weber's beard last year took on a "Madness? This is Sparta" quality that kicked all other beards into a pit of death. According to Albert Einstein, insanity is doing the same thing over and over again and expecting different results. If one of history's greatest scientists was alive today he might look at the Calgary Flames and see insanity personified. The Calgary Flames have missed the playoffs for the past three seasons and haven't passed the first round since making the Stanley Cup Final in 2004. The roster is aging and the prospect pool is thin, which seem like good reasons to start a rebuild, but Calgary has other ideas. The Flames are blind to the apparent, and yesterday's hiring of Bob Hartley confirms that, although not on the surface.